Give your fall cakes a touch of seasonal flair with these edible autumn leaves by Andie Specialty Sweets. The sugar leaves have a delicate chocolate taste and are between 2.5 and 3.5 inches long. Each is hand crafted for a unique touch. 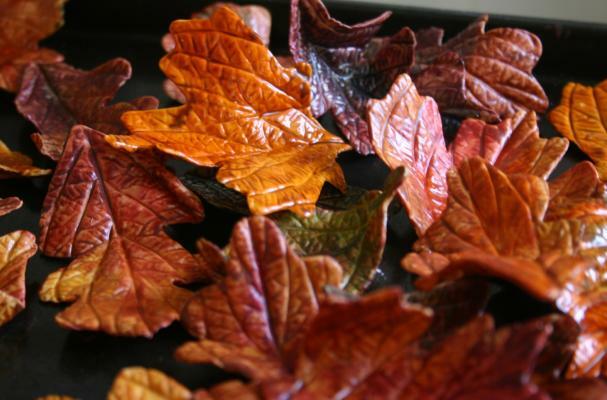 Buy a set of 100 edible autumn leaves at the link below. could you email me a price on the edible autumn leaves? I also need to know if the have peanut oil in them?